Good morning from Augusta. A group run by the Maine operative who led President Donald Trump’s 2016 campaign here is reportedly the subject of at least one investigation into fraudulent comments in favor of a 2017 move to abolish “net neutrality” rules. The U.S. Department of Justice and the state of New York are investigating the process that led to more than 22 million public comments being filed on the move, according to BuzzFeed News. New York has estimated that as many as 9.6 million comments may have used stolen identities — including more than 38,000 that purportedly came from Maine — and has provided a search toolthat people can use to find their names. The language of many of those comments originated with Free Our Internet, a group run by Republican strategist Christie-Lee McNally of Scarborough that formed in 2017, but her proven links to groups that may have submitted fraudulent comments are more tenuous for now. It’s unclear who was submitting form comments from the group, but they were trying to hide their identity. 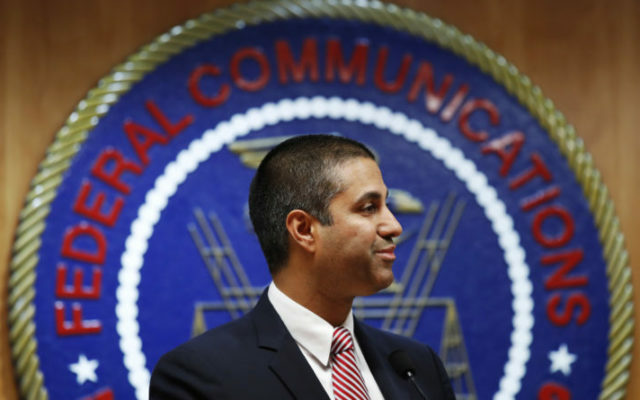 The issue stems from the public comment period that the Federal Communications Commission had to hold before making the move to roll back the net neutrality rules enshrined under former President Barack Obama. Millions of these were parts of form-letter campaigns. A Stanford University study found that only 800,000 of all comments were unique and virtually all of those supported net neutrality. The FCC has since acknowledged that there were millions of fraudulent comments and reporters and investigators have found examples of comments signed by dead people. Free Our Internet was the source of 800,000 comments, according to a Gizmodo report last week listing the group among more than a dozen others that have gotten subpoenas from New York. The Justice Department hasn’t confirmed its investigation of the comments, but BuzzFeed reported it last month citing groups that had gotten subpoenas. The New York attorney general’s office didn’t respond to requests more information on Friday. Gizmodo reported that the comments originating from the group were uploaded by the same throw-away email account linked to the separate Taxpayer Protection Alliance, which it reported that New York believes could have been working with Free Our Internet. But that’s not for certain right now. McNally’s link to the fraudulent comments is notable on a national level because of her Trump ties. McNally, who declined comment, worked for former Maine Senate President Kevin Raye and was executive director of the Maine Republican Party before running Trump’s 2016 campaign here. There is no indication that the comments are otherwise linked to Trump. But Free Our Internet’s messaging was boosted by hard-right sites including Breitbart News and Infowars, the site run by conspiracy theorist Alex Jones and got attention from Roger Stone, the self-proclaimed political “dirty trickster” charged with lying to Congress by Robert Mueller, the special counsel overseeing the Russia investigation. That’s leading to all the attention around McNally, even though she may be just a bit player in the investigations once they are ironed out. For now, the reporting on the issue is largely tenuous and based on early and partial reports from investigators. The governor will brief legislators and the media in two different rollouts on Friday, and the list of attendees may confirm the focal points. The first two-year budget proposal from Gov. Janet Mills, a Democrat, is due to the Legislature on Friday and the governor will publicly release it in the afternoon. She is briefing legislators before a 1 p.m. news conference alongside Jeanne Lambrew, Pender Makin and Kirsten Figueroa, who are respectively her health and human services, education and budget commissioners. Health and education have been expected focal points of Mills’ first budget document. Mills has said she will propose long-term funding for Medicaid expansion, which is now covering more than 3,200 people and being paid for with surplus funds. She campaigned on vows to increase funding for K-12 education and minimum teacher salaries while moving toward universal pre-K.
All of this however, could be restrained by Mills’ pledge to not raise taxes in the budget and doing all of the above now would probably necessitate a tax hike. We’ll see how she balances the budget later today. — A conservative political nonprofit born from the previous governor’s transition team is revving up for action. Maine People Before Politics, which amplified Republican Gov. Paul LePage’s messaging during his first term before fading deeper into the shadows after a tense 2015 budget fight, has placed three LePage allies in key positions. Julie Rabinowitz has been named director of policy and communication, while Michael Hersey will serve as director of operations. Brent Littlefield, LePage’s longtime political consultant, will serve as the group’s media adviser. The group is actively raising money, Rabinowitz said, and “will be working on growing our outreach capabilities over the next few months.” The group is a 501(c)(4) nonprofit, so it can’t officially participate in campaigns or advocate for or against candidates. But it can raise unlimited amounts of money and it doesn’t have to disclose donors — only assets. — With another federal government shutdown looming, Maine legislative efforts to aid unpaid or furloughed workers have stalled.On Thursday, the Health Coverage, Insurance and Financial Services Committee tabled action on an emergency bill from Senate President Troy Jackson, D-Allagash, that would guarantee any of the roughly 1,100 Mainers employed by the federal government access to as much as $15,000 in interest-free loans from their local bank or credit union. The committee will work the bill again on Tuesday, which gives the House and Senate just one more scheduled day of floor votes to get it to Mills to sign into law before Feb. 15, when a new shutdown could start if Trump and congressional Democrats can’t break their stalemate on southern border security. — Voters in Bath will elect a new Maine House representative on April 2. That’s the date set for a special election to succeed Rep. Jennifer DeChant, D-Bath, who resigned to take a private-sector job. Bath city councilors Mari Eosco and Sean Paulhus have announced interest in the Democratic Party nomination. No Republican has stepped forward yet in the heavily Democratic district. — If you stop receiving Daily Brief, it’s because we quit to buy a bar and brewery. Three Tides and Marshall Wharf Brewing Co., two iconic Belfast establishments that helped usher in Maine’s craft beer wave and remake the city’s waterfront, are for sale. Owners David Carlson and Sarah Carlson, who have spent the past 19 years building their businesses from the ground up, said this week they have put the bar and brewery (the best beer spot in Maine for the Daily Brief’s money) on the market. The asking price is $5 million, and the Carlsons would like to close the deal by July, when David turns 50. Here’s your soundtrack. I’ve made the conscious decision this weekend, again, to wedge my body, crotch-to-back with three others’ on a slender wooden board that will hurdle down a mountainside ice chute onto a frozen lake. Camden’s annual U.S. Toboggan National Championships attract thousands each year, and I’m one of them. It’s a sight to see, really — costumed adults with 9- or 12-foot toboggans in tow, trundling around on the snow and ice at Hosmer Pond, building fires for warmth and smiling at each other. It’s a family-friendly activity, for the most part. Last year, while my team stood in line for our chance at the ice chute, I may or may not have seen a belligerent fellow toboganner snort something that wasn’t snow from a vial he pulled from his pocket. Typically, I “compete” with friends from Kentucky who also live in Maine, and our theme is chosen accordingly. The first year, 2017, was Kentucky Fried Ride(we wore chicken costumes). Last year, we wore crocheted bears and flannel for the un-Kentucky Lumberjills (this is, unsurprisingly, a popular costume go-to). This year, the pals are reuniting to dress as horses and jockeys for Kentucky Street Derby (we lived in a house on Kentucky Street in college). Here’s a quick visual for those who’ve never gone to this bizarre event. First, it’s chaotic. Four-person teams stand in line for close to an hour before reaching a little wooden hut atop a hill, where volunteers do their best to keep rambunctious adults ready to go down the friggin’ chute already at bay. When it’s your turn, you are literally positioned (hands on shoulders) by a volunteer on how to safely lie on your toboggan (legs wrapped tightly around the person in front of you, lying down as flat as you can). The push-off is the scariest part. The toboggan sits on what’s effectively a trap door, controlled by a large lever, controlled by an older Mainer with a thick accent. Once the team is in place, the lever is pulled and the wooden slat drops the toboggan and its crew roughly onto a wooden 440-foot ice chute.